This year, Canada is celebrating 150 years of confederation. To celebrate, a limited number of special commemorative pins, made from the copper roof of the Parliament Buildings will be awarded to constituents in Eglinton-Lawrence who have made our community, and our country, stronger. We need your help to let us know whose outstanding work merits this recognition! 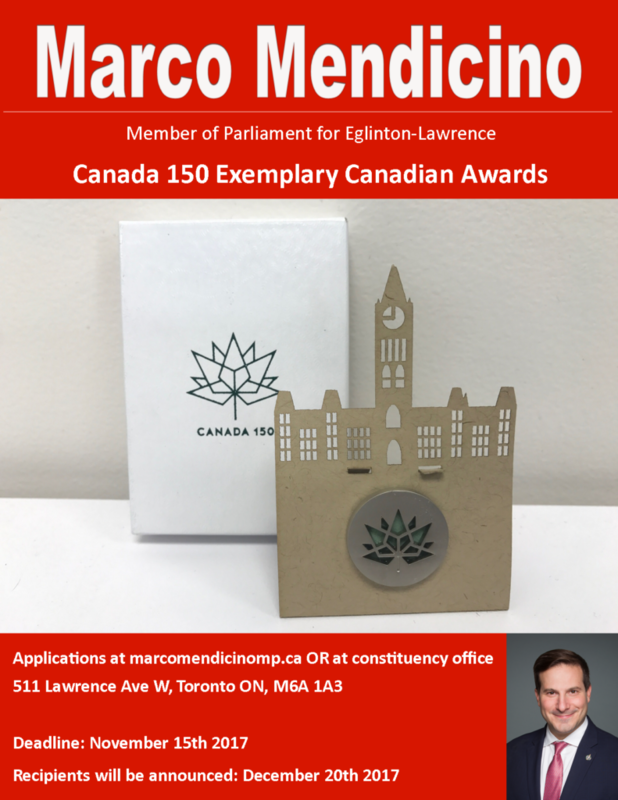 Until November 15th, you can nominate someone from Eglinton-Lawrence to recognize everything they contribute to making Canada a better place.